This tv console stand has two handy drawers for extra storage. 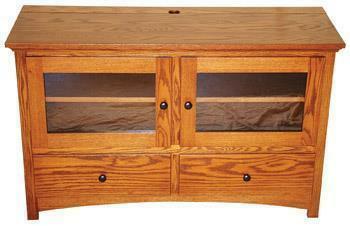 Customers love the beautiful Mission style of our Modesto TV Stand. Call 1-866-272-6773 with questions or ordering assistance.